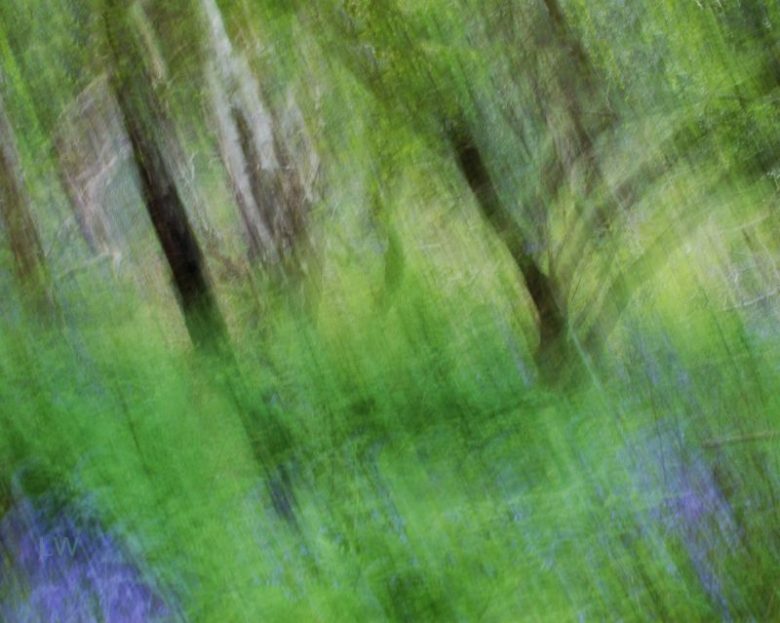 One of a series of abstract impressions of a beautiful English wood at bluebell time. This can only begin to convey the joy of spending time in this magical place as dusk descends: the heady scent of the flowers, the clear song of thrushes high in the canopy, and the feel of soft leafmould under the feet. Another time, the same place: Foxgloves. ICM? Intentional camera movement – a way to abstract a literal scene by moving the camera, which inexplicably heightens the colours and gives a silky or chalky look to the photograph. No post-processing filters needed!